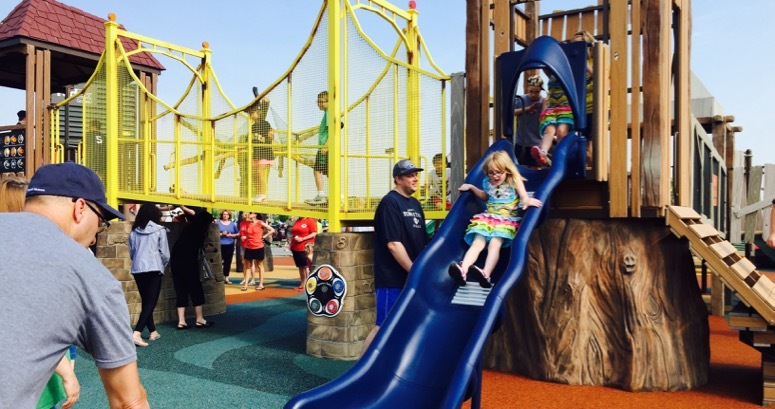 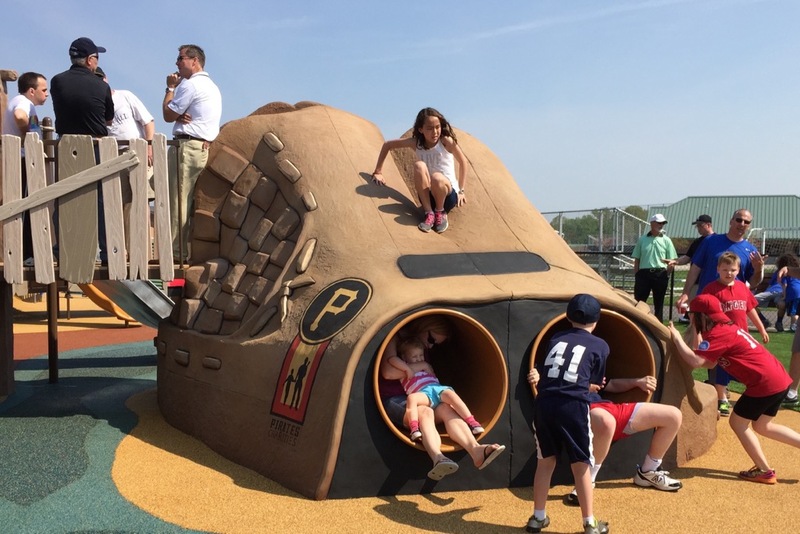 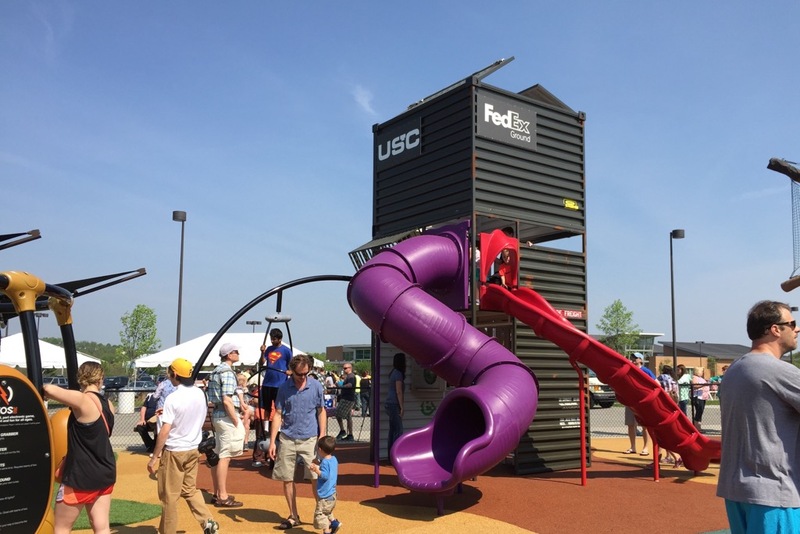 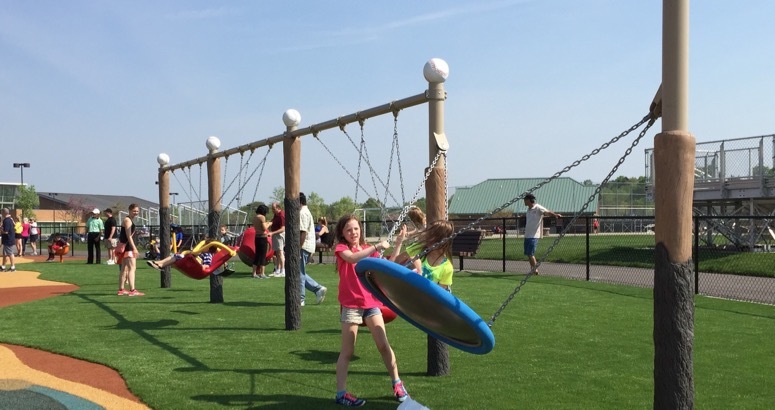 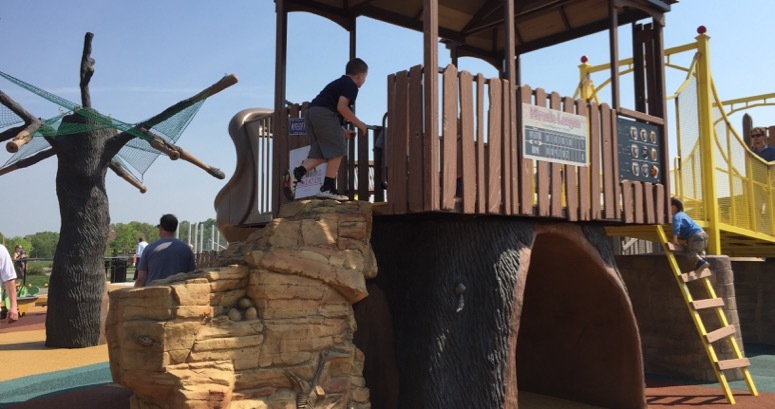 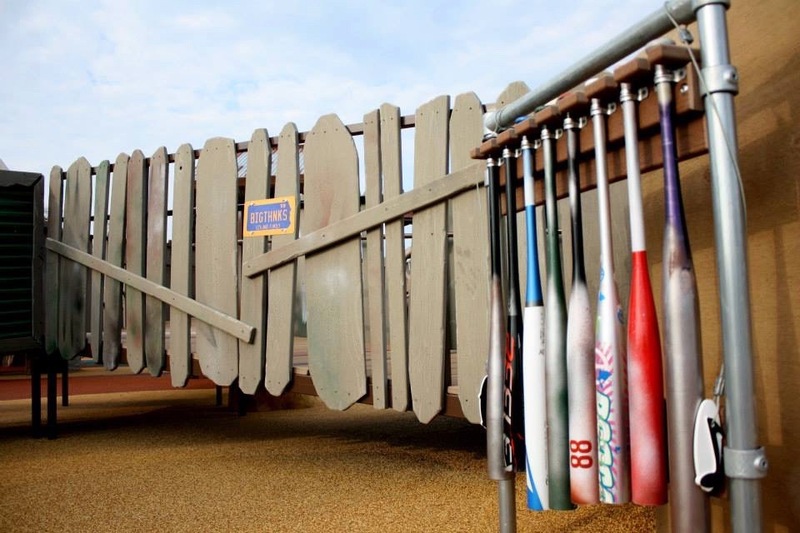 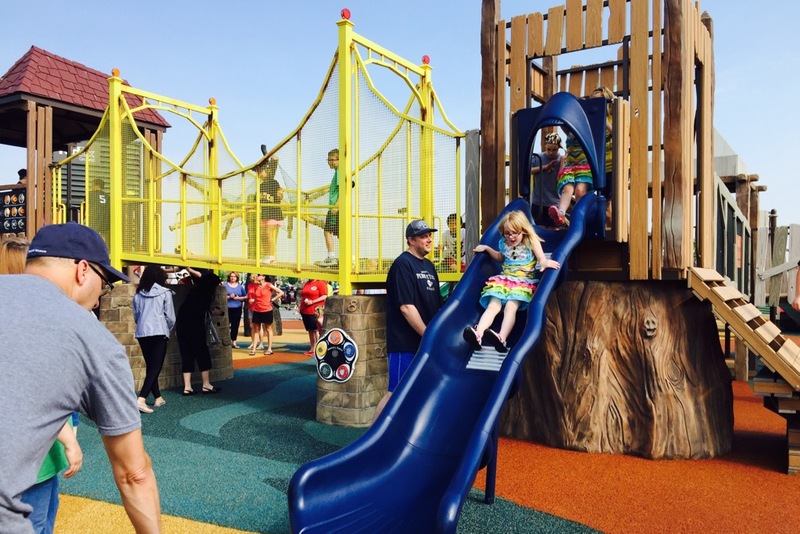 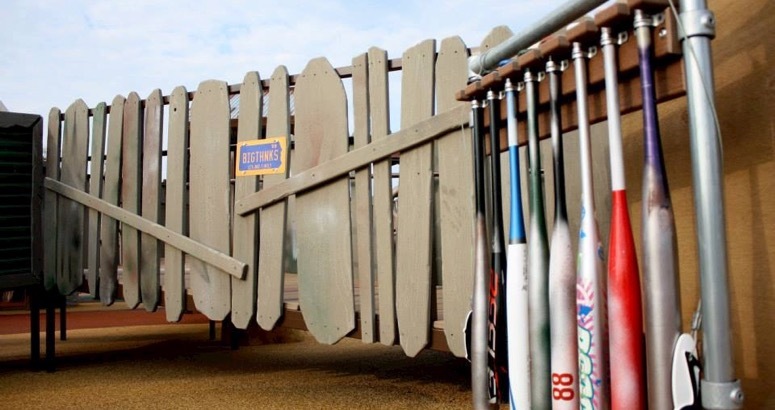 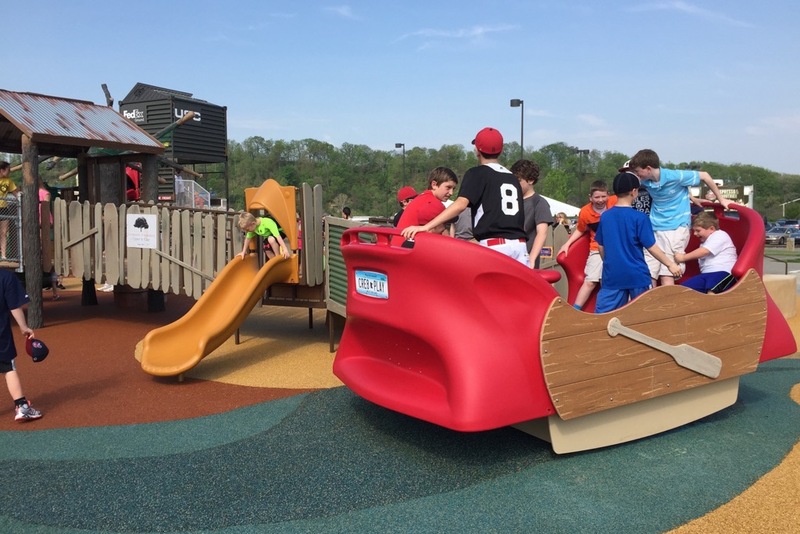 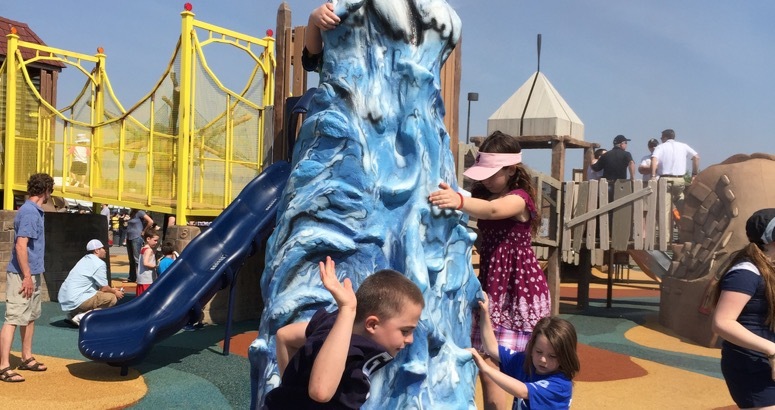 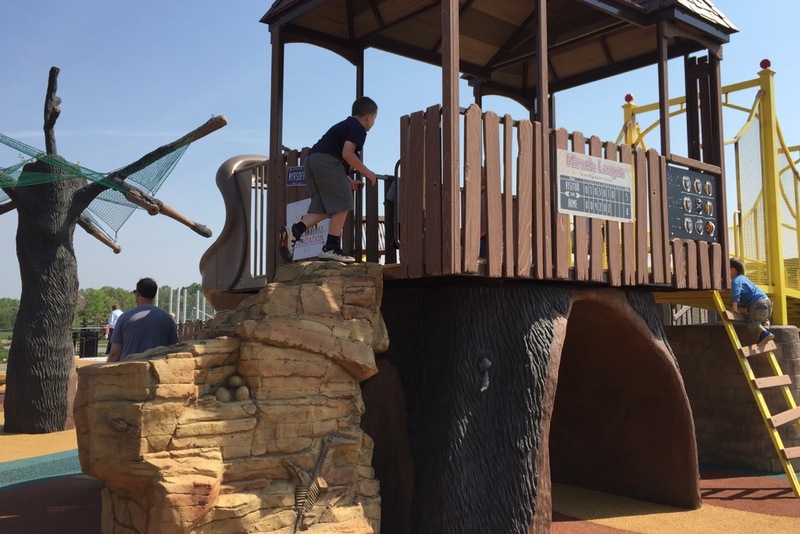 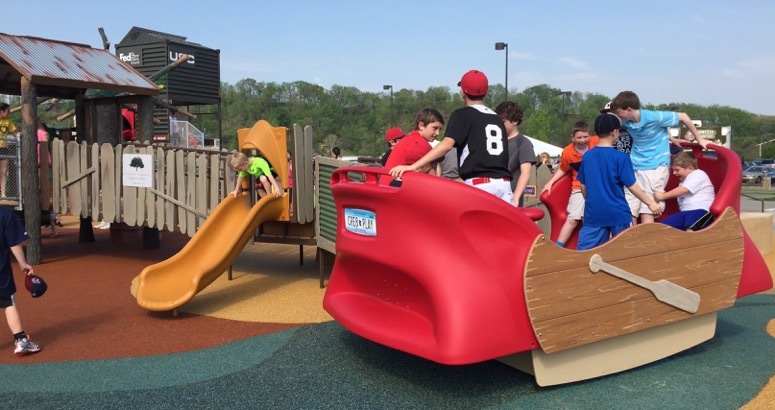 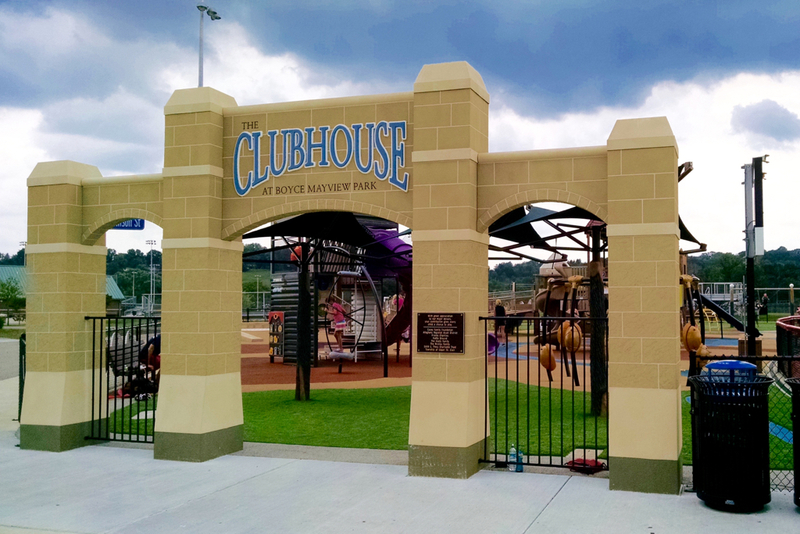 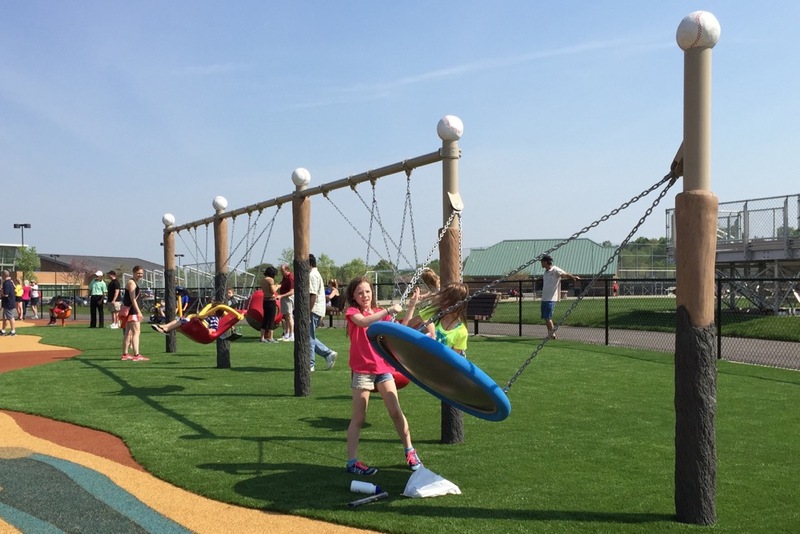 The Clubhouse play environment in Upper St. Clair, PA is “the coolest playground ever,” Pirates President Frank Coonelly. 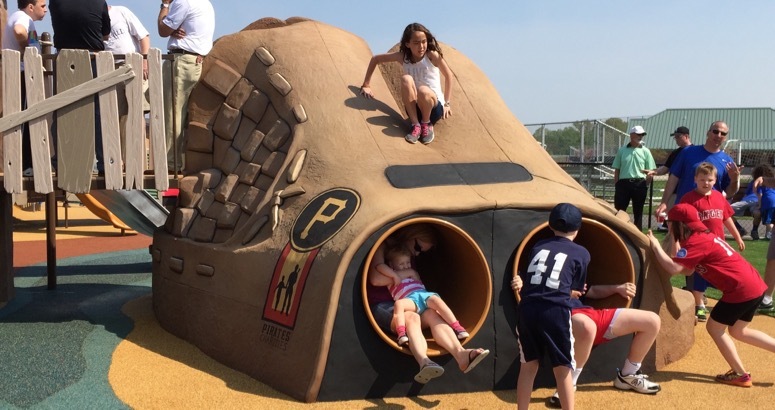 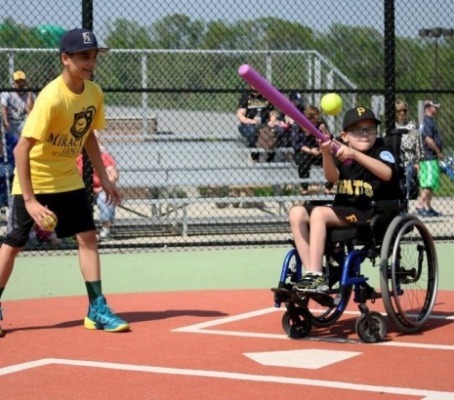 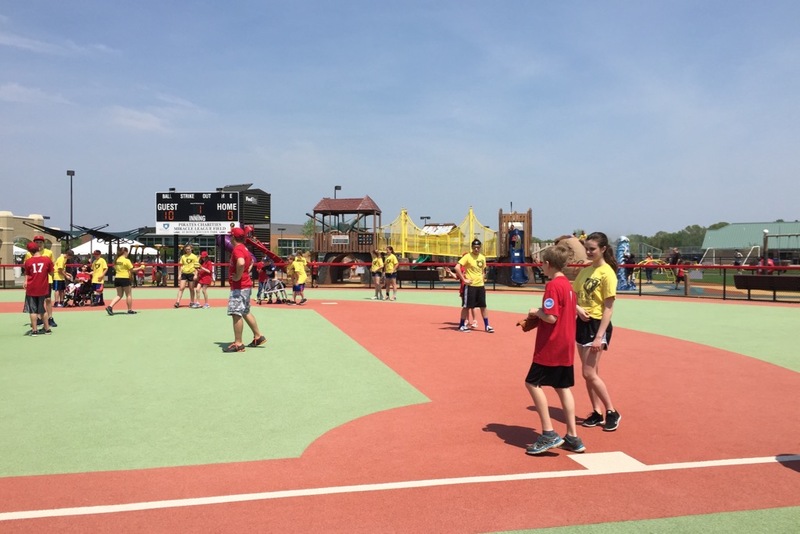 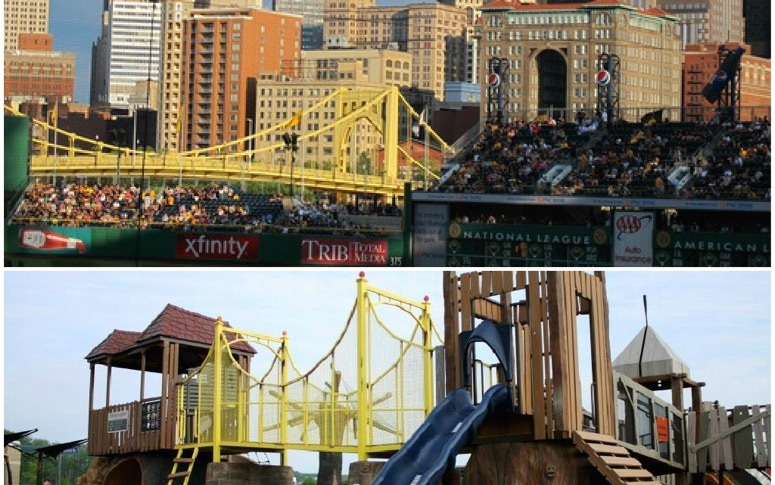 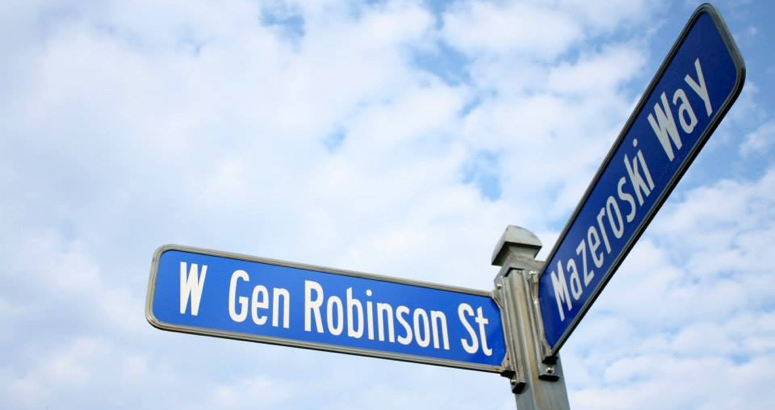 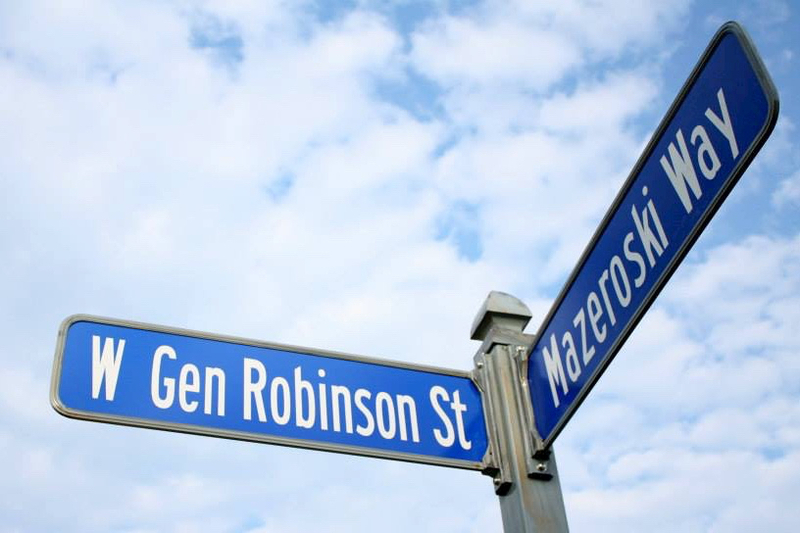 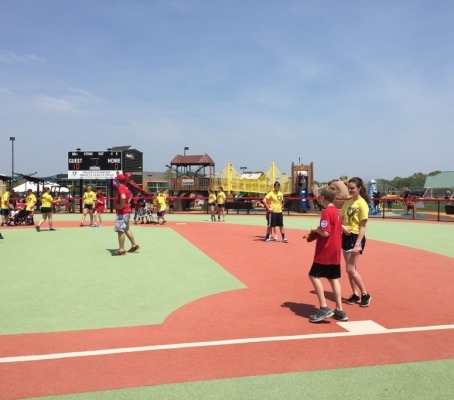 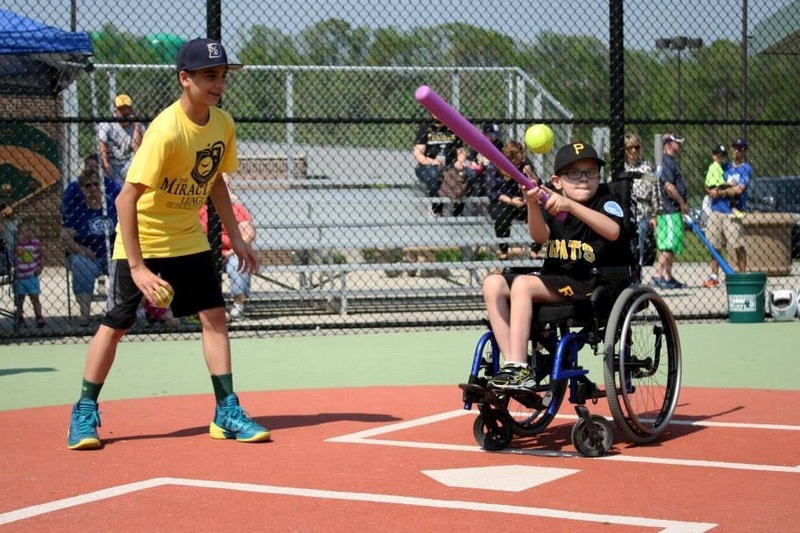 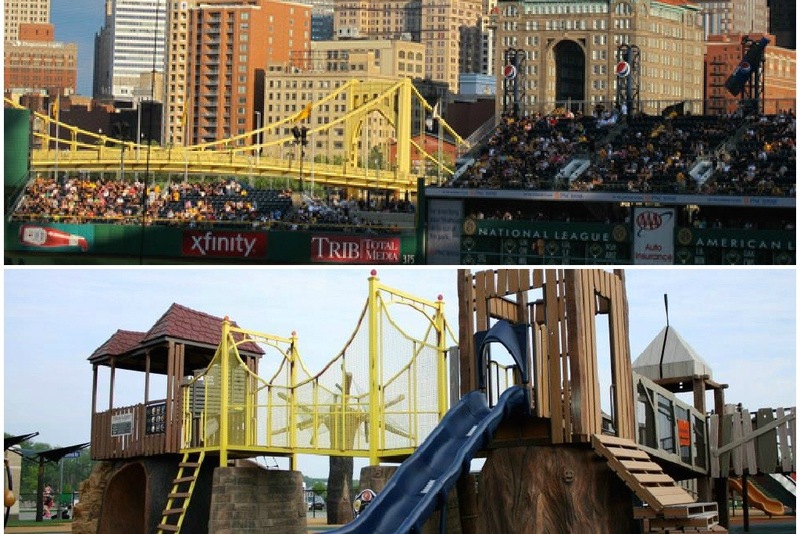 Designed to resemble the skyline as seen from the Pittsburgh Pirates PNC park, this all accessible baseball themed environment is wowing kids and adults alike! 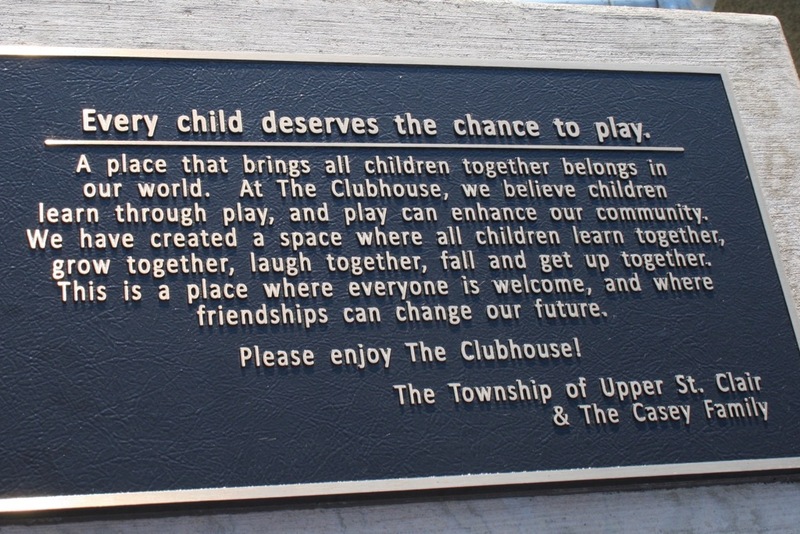 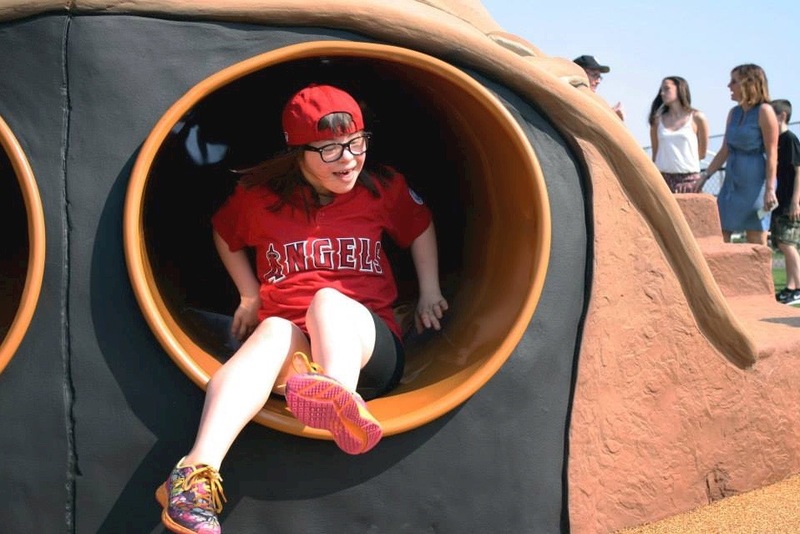 The Clubhouse was designed with a purpose to encourage play between children with and without disabilities. 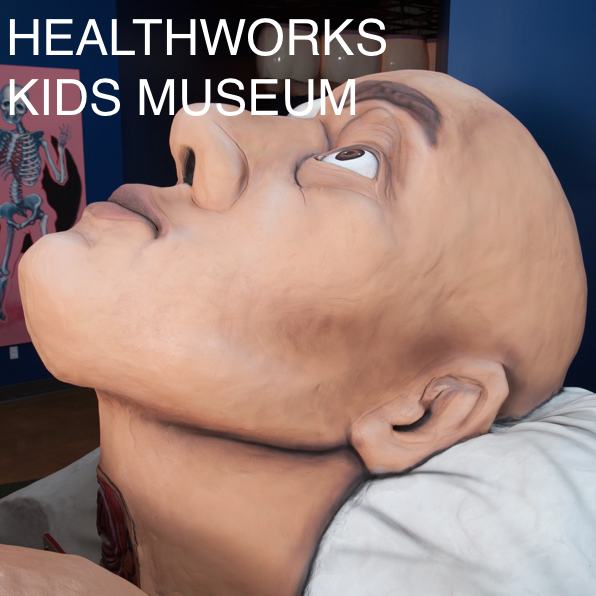 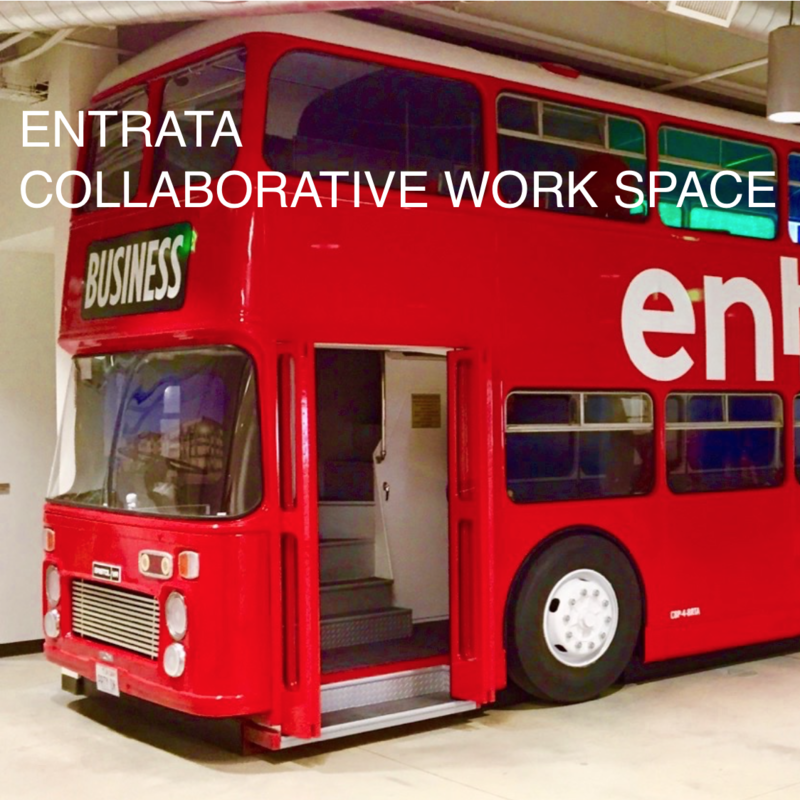 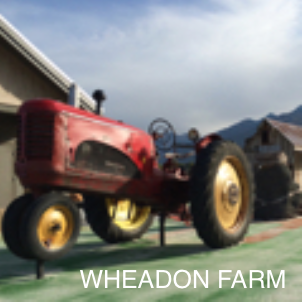 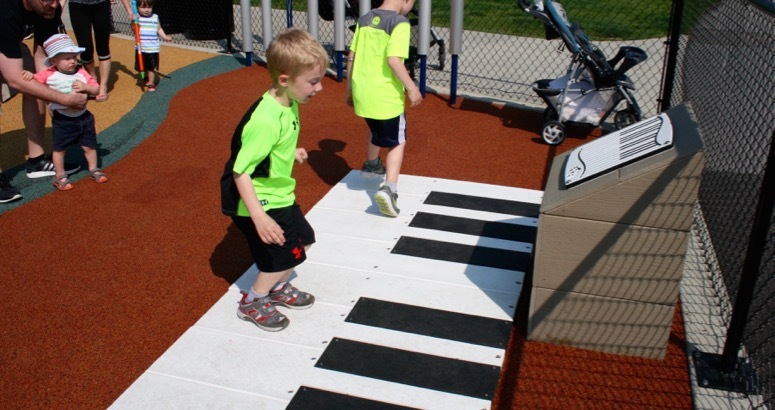 Features include custom aluminum fabricated slides safe for children with Cochlear implants, equipment to address walking impairments, multiple educational and musical elements including a baseball bat metallophone, transfer accessible climbers and wheelchair accessible play at higher elevations. 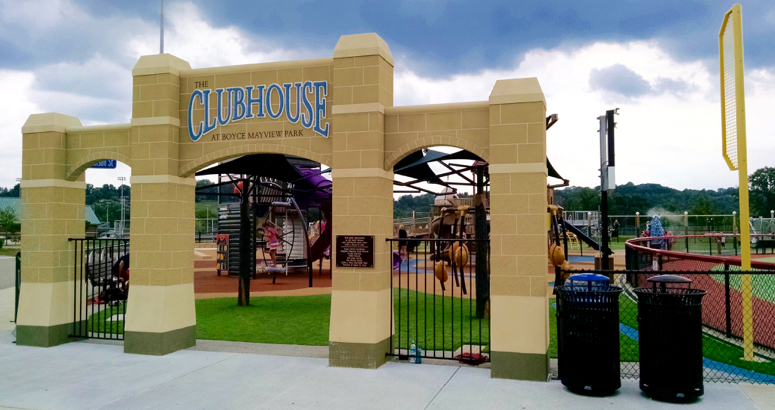 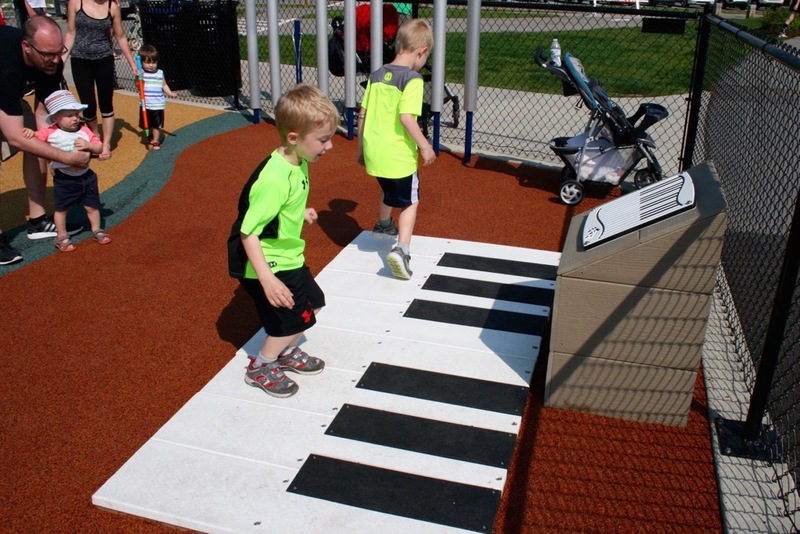 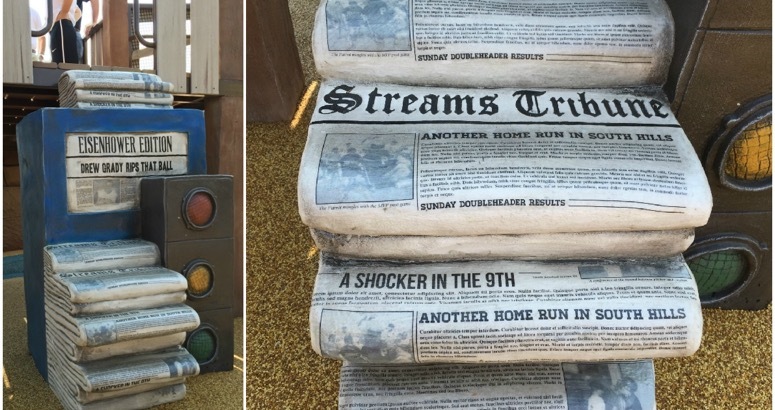 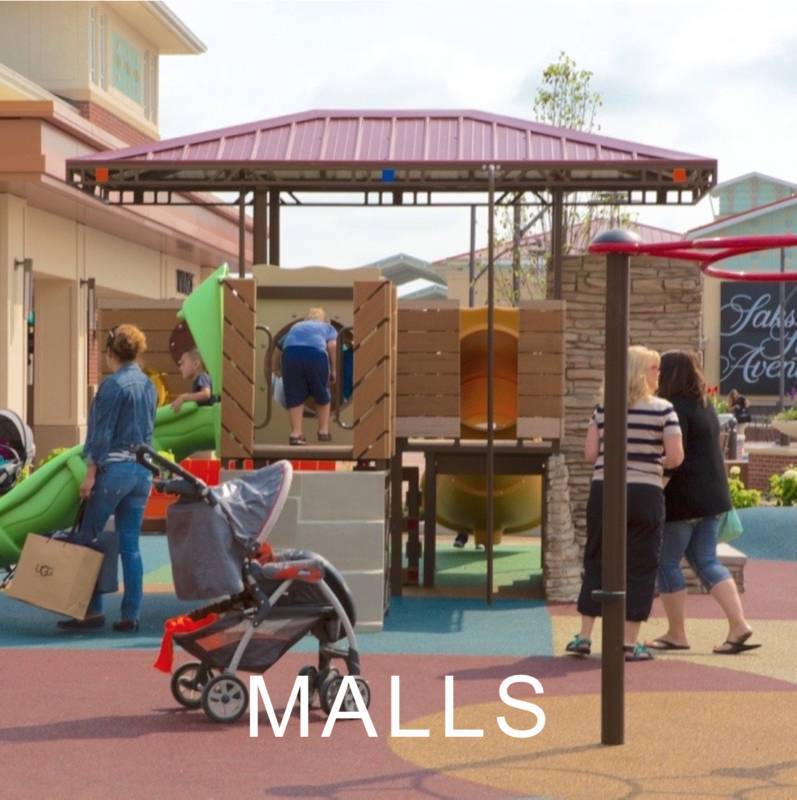 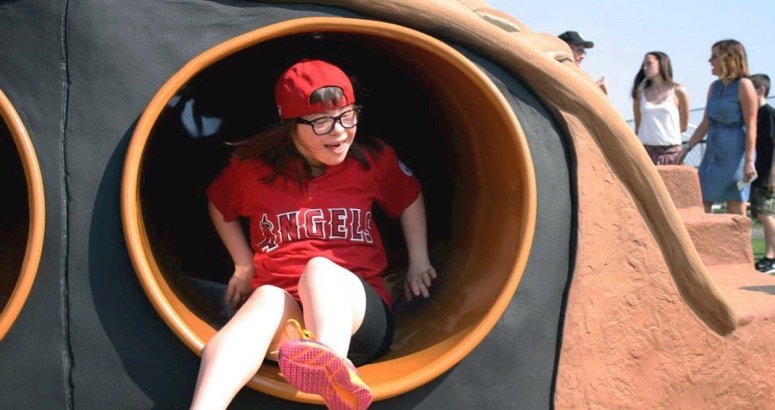 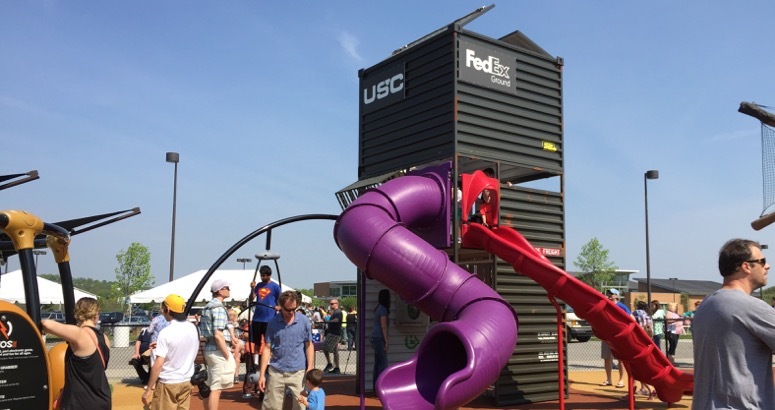 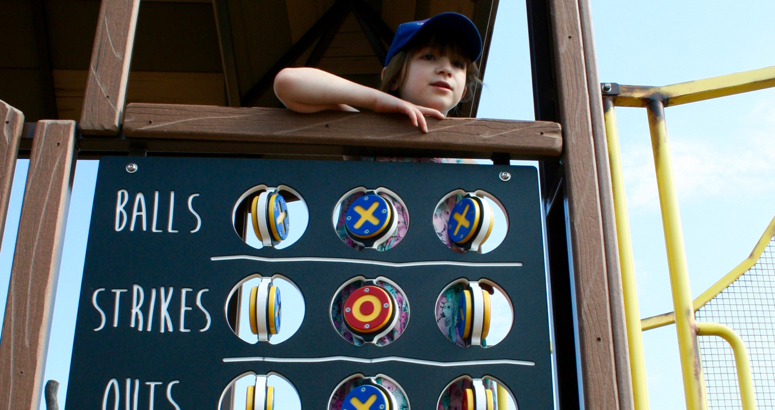 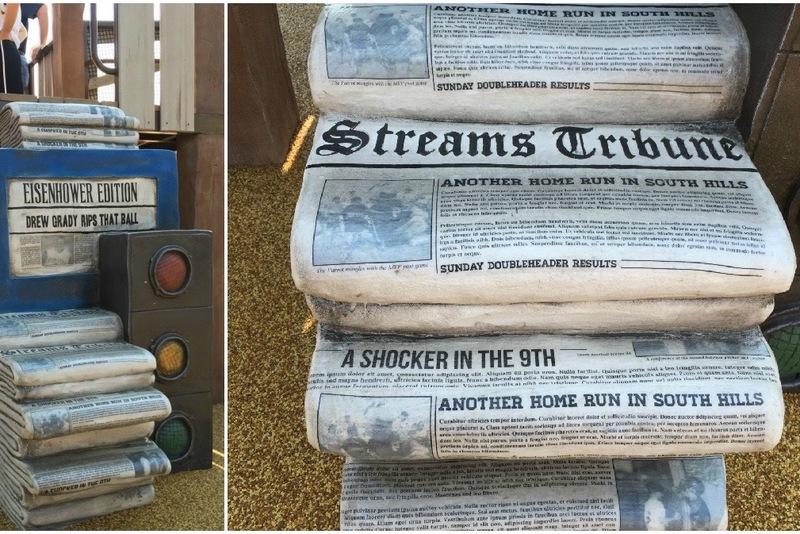 The Clubhouse also has several elements to address children with visual impairments such transition colors to indicate changes in elevation and steps as well as embossed 3D discovery finds in a large majority of the play equipment . 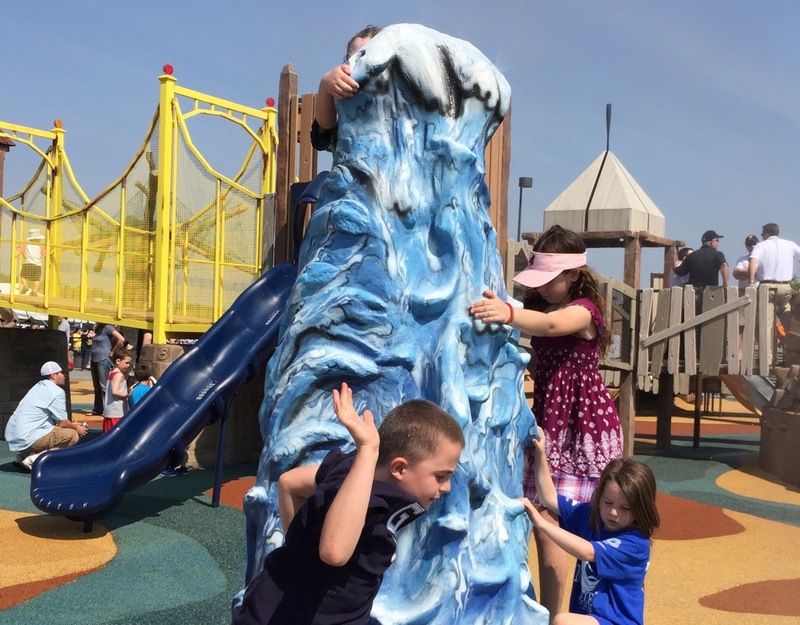 There are misting features throughout including a 3D sculpture that resembles the fountain at Point State Park just outside of PNC Park in downtown Pittsburgh. 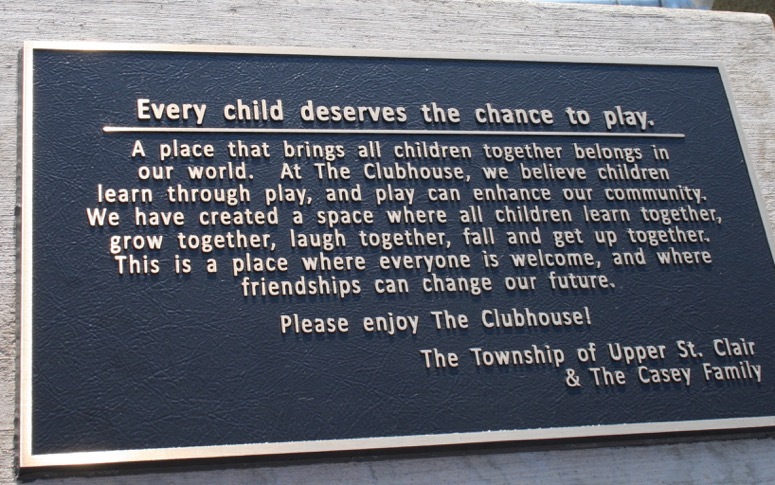 The Clubhouse hit a Grand Slam for Inclusive Play! 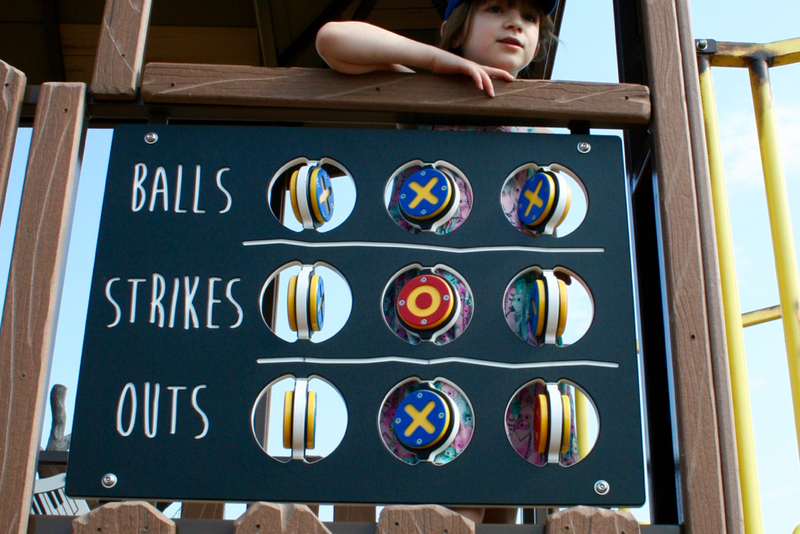 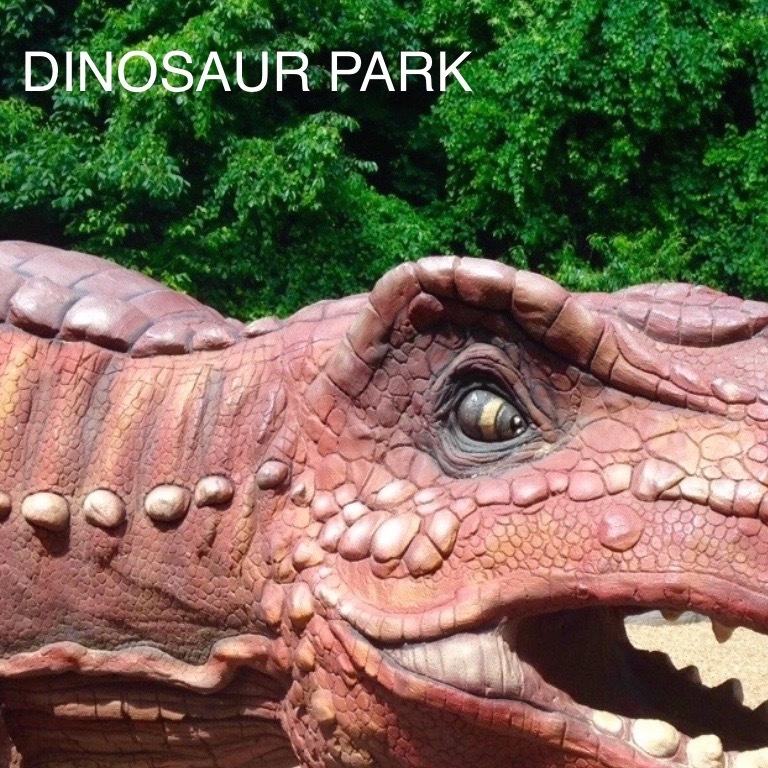 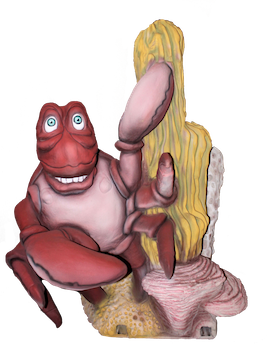 visit our news section for all the L8est Cre8Play haps!